We've always loved Barbara Brandenburg's style - she has done some great books under the Cabbage Rose label. Her sisters are artistic and into quilting too. Teri Christopherson publishes under the Black Mountain quilts label and whenever we've got their books in stock we're almost guaranteed a few sales amongst Cotton Patch staff! Mooching around on the web I found the link to Barbara's blog which is worth a look at the following link. 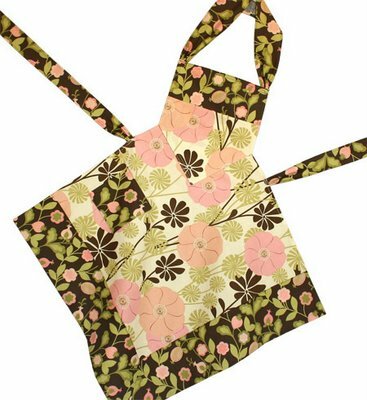 We particularly liked the aprons she's done - they would look great in Amy Butler fabrics, as would her bags! A lovely site with some lovely photography. No problem Sonnja - hope you enjoy Barbara's blog!